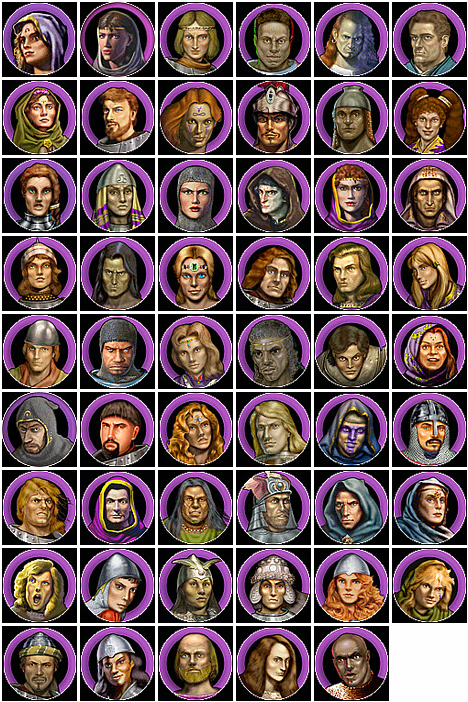 Heroes of Might and Magic IV is a fantasy turn-based strategy game with some fantasy role-play missions. It features many classic fantasy creatures and an inventive take on factions by concept. The game art for the creatures are quite classic, but the artwork for the towns sometimes quite chaotic. Our fantasy art galleries include game art from screenshots, movies of cutscenes, and other official media. The Haven town is aligned with Life magic that focuses on healing and protection spells, and makes its home on grass terrain. The creatures that can be hired are the Squire, Crossbowman, Ballista, Pikeman, Monk, Crusader, Champion, and Angel. Their heroes are Knights (might) and Priests (magic).